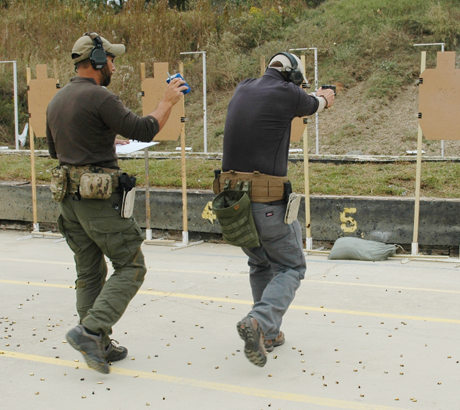 We have designed the Pistol Tuneup to give the shooter an outlet to practice and hone their skills, but we've narrowed it down to one half-day versus a full day of training to push you all to come out more often, even if it's just for a "quickie" and even if it's the middle of the summer. No excuses!! The day will not consist of any formal instruction as our customers are used to, rather it will be an action packed four hours of shooting drills that will require the use of all the skills you have learned with us to this point, all under the watchful eyes of VATA instructors who will provide fault checking and our ever-famous motivational speaking techniques (yelling at and berating you). We estimate that we will shoot approximately 400-450 rounds, which will vary between classes and shooters. We utilize a private training facility that is not open to the public located in Slidell, Louisiana, less than an hour's drive from New Orleans. We also offer mobile training and can come to you. If you have any questions or would like to book training, please contact us. Our training location is not open to the public and on-site visits are not allowed without appointment. Please use the contact link below for communications. © 2015 VATA Training Group. All rights reserved.